Want to become a CNA in Greensboro? CNA jobs are projected to grow 11% by 2026, and there are 70,000 registered CNAs currently employed in North Carolina. Top Nurse Assistants in Greensboro earn $15/hour, but the top 10% of the nation’s nurse aids earn $50,000/year. To start a CNA training program, you need to be at least 16 years old, have a high school diploma or the equivalent, pass a criminal background check, and have up-to-date immunization records. Next, you will need to find accredited CNA classes in Greensboro and successfully graduate from the nursing assistant program. You must then pass the required state exam and register online on the North Carolina Nurse Registry in order to qualify for a CNA job in Greensboro. 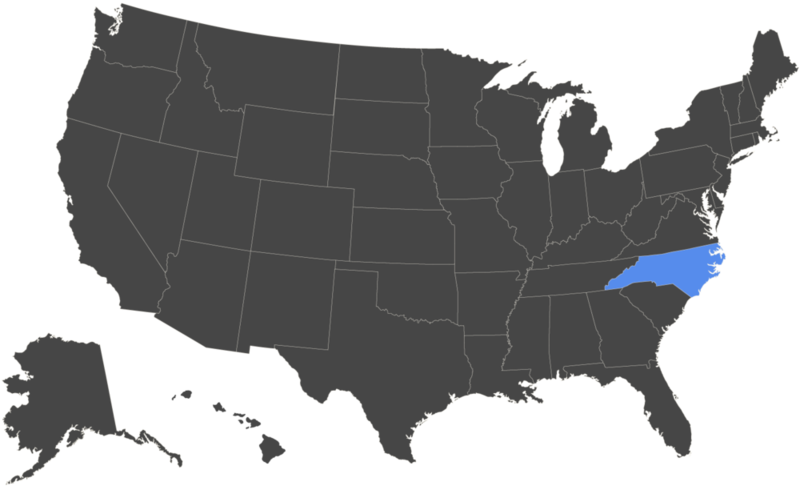 North Carolina is made up of three major metropolitan areas with populations at more than 1 million. According to the U.S. Bureau of Labor Statistics, North Carolina has one of the highest CNA employment rates per metropolitan area. There are more than 70,000 CNAs currently employed in the state. Nearly 50% of CNAs work in Nursing Care Facilities, and there are 1,000 registered nursing facilities in the state of North Carolina that offer employment. North Carolina partners with the National Nurse Aide Assessment Program (NNAAP) to certify its nurses. The CNA state exam is distributed by Pearson VUE and there are three licensed test locations within an hour of Greensboro. If you can’t find a fully-funded CNA program, you can also opt for a partially-funded program such as the Certified Nurse Assistant Training Program with Goodwill Greensboro. The 11-week training program provides low-cost CNA classes for low-income students who just pay a nominal eligibility fee and must pass a nurse entrance interview. After graduation, the career counselors also help students find CNA jobs in Greensboro for the next 5 years. You must be 18 years old, have no criminal background, and pass a reading and math assessment. Before you start your training, search for CNA jobs in Greensboro to connect with possible employers. Speak with the Human Resources department and ask if they reimburse for training or if they have partnerships with specific CNA schools in Greensboro. They may even pay for your state exam fees or provide on-the-job training. Nearly half of all CNAs are employed at nursing facilities, followed by 30% at hospitals and 13% at assisted living facilities, according to the Bureau of Labor Statistics. In addition to providing training, Job Corps helps students with daily living expenses such as residential housing, food service, health and dental care, a bi-weekly basic living allowance, and a clothing allowance. Students can move to the Jobs Corps center where they live, train, and study in their chosen career field. When you graduate, there are careers advisors and counselors who will help you write your resume, plan your career, continue your training on-the-job, and find CNA jobs in Greensboro. Caring Hands is one of the best companies I ever had the pleasure to work for. The staff is welcoming and very helpful in supplying whatever tools you need to do a professional job. Being the CNA Floater, I have the opportunity to communicate with clients about their services and found that they are satisfied. - Stephanie W.
I love the massage therapist program at GTCC! Very hands on, very in depth this class will over prepare you to be successful. One of the best directors yet who takes what he does very serious. - Ash G.
My experience as a student at ACC was absolutely wonderful. Knowledgeable, caring, challenging instructors.- Laura N.
I attended Forsty Tech for my LPN and I loved the program, and all of the instructors were helpful, and taught the material well. I also partly attended the RN transition program, the instructors for this course were also very helpful, and the course was well taught. When I visit admissions the staff is always very polite and resourceful. I have nothing bad to say about this school, other than I wish they had an occupational therapy assistant program. - Laniece S.
I took my CNA classes there and I had a wonderful teacher . The school can be a little more organized but the education and training is good. - Mikiyah F.
RCC's Nurse Aide program was a great program. The instructors were very informative. They made sure you knew what you were doing. The program was set up so that students could learn the skills and then practice hem hands on with mannequins. I recommend this program to anyone looking into a nursing career. - Casey W.
Central Piedmont is a top notch Community College. I have had access to very high end and very expensive equipment to learn on during my time here. No other school any where near here can compete. I have attended another Community College in the general vicinity, and the difference is night and day. CPCC is head and shoulders above any other Community College probably in the whole of the Carolinas. - Charlie G.